Eleven year old Frankie Dupont’s parents are off for the day to attend an awards ceremony. Frankie’s dad leaves his in charge of his detective agency. Sounds strange? Well, Frankie has already proved his mettle in assisting his father in previous investigations. 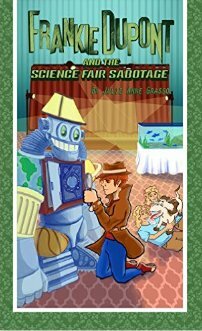 Shortly after they leave, Frankie gets a call from his cousin Kat and her friend, Amy Applebyto assist in solving a mystery at the science fair being held in Enderby Manor. Seven kids are competing in a science contest in which all the entries must be made from recyclable materials. The winner will receive $300 and a ticket to science camp. Seven contestants have employed creativity in projects such as a musical instrument made from drinking cans, Lego blocks made from Stevia, a balloon recycling center and cloned blue salmon. Upon his arrival, Frankie discovers that Angus and Archie Appleby’s robotic chip has been stolen while they were arguing over how to assemble their robot made from household items. Frankie has the scene secured and methodically proceeds to interview each of the contestants in order to collect clues and solve the mystery. 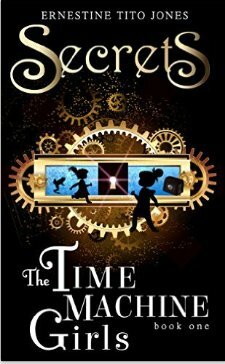 Middle school readers will enjoy the adventure as the clues are revealed by Frankie as he investigates. But things are not as they appear on the surface. Readers may be surprised by the end result of the investigation and the just rewards that follow. Recommended for Encylopedia Brown fans in the eight to twelve year old age range. Bob is pretty much your average fourth grader. His father is a teacher at his school; that can be a problem. Lately, he has been having bad dreams that keep him up at night. His mother has a solution; she gives him a dream catcher and explains that his dreams will be trapped there and do longer keep him awake. Bob is astonished when a red furry monster named Boris materializes out of the dream catcher. Boris will answer Bob’s call whenever he needs help. 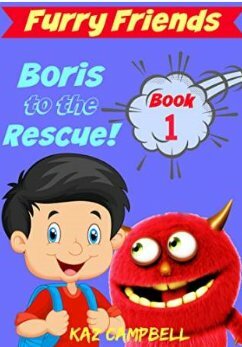 Turns out Boris can help him with homework and bullies who pick on Bob at school. How can Bob explain Boris when no one else can see this little furry friend? Charming chapter book featuring two sisters, eight year old Hazel and six year old Bess. The girls could not be more different: Hazel is responsible, truthful and obedient, Bess is unrestrained, mischievous and prone to hide the truth. The sisters are trapped in their grandparents home for the summer while their mother helps them clean out the house in preparation for downsizing. Because the girls have no TV and no internet, the opportunity for getting into trouble immediately presents itself. Hazel has been given a book of rules; under no circumstances can they go into the attic. When Hazel consents to play hide and seek with Bess, little Bess runs to hide in the attic. There the girls find some strange books about time travel and a unusual contraption, which Bess promptly decides to sit in. Sure enough, they find themselves back in time. 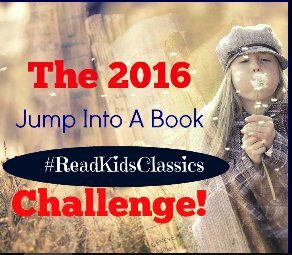 The sisters find themselves in the year 1738 on the lawn of George Washington’s boyhood farm. He is a six year old boy. What connection does their time machine have with George? Will the girls be able to find their way back home to the twenty first century? If so, how can they explain what they did to their parents and grandparents? This book is the introduction to a series that promises to hold lots of fun for beginning and early middle grade readers. A house full of secrets, strange grandparents, and two inquisitive and intelligent sisters sound like the beginning of an interesting adventure series for readers in the seven to twelve age group. The format of this book is a bit unusual for a middle grade adventure. The author begins with a prologue setting the scene for the climax of the book. 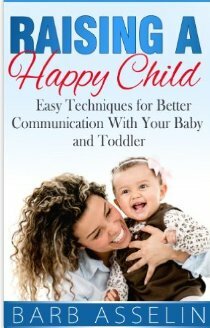 She ends with an epilogue that answers the questions left in the reader’s minds. Sugar is an energetic, caramel colored dog who lives a carefree life with her mistress Marion on Dogwood Island. Sugar has a somewhat unusual best friend, a barn swallow named Clive who lives on the farm with her. One day, while traipsing through the island, Clive urges Sugar to come to the library to see a strange site, a bear in a cage in the town square, who apparently has been abandoned on the island. The two friends strike up a conversation with the bear named Sebastian. Soon it becomes apparent that the circus has closed up shop and Sebastian has been left in his cage to fend for himself. 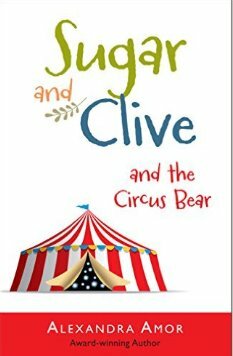 The townspeople decide it would be best to place the bear in a zoo, but Sugar and Clive feel that they would like to help Sebastian find his freedom At first the bear is reluctant, but after his brief separation from the circus, he decides they are right. Clive and Sugar enlist island animal friends like Larry the Seagull, AnnMay, a Siamese cat, and a human friend, Stewart, to find a way to move the 500 pound bear off the island into a forested area where he could roam free. But the zookeepers are fast approaching, will they be able to carry out their daring plan? I love the dialogue and clever conversations among the animals, and the ingenious solutions they come up to solve one problem after another. At just over one hundred pages this chapter book is just the right length to hold the interest of young readers and middle grade students with enough interesting plot twists and suspense. 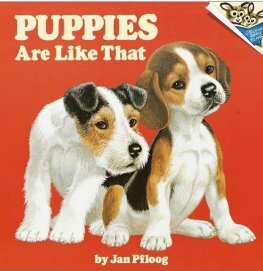 This book would be an excellent choice for a class read aloud and discussion book. 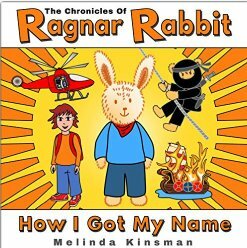 Young animal and adventure lovers will not be able to put this one down.